Must be a Founder's Club member on or before April 21st to activate your RSVP button. Spring is abundant with color and beauty on the ranch. The grape vines are budding and the vineyard is coming to life in brilliant shades of green. As we warm up for summer, we are enjoying these vibrant wines that pair well with both warm and cool days. Enjoy limited time savings on these select wines. "With every sip, discover a legacy." The hunt is on at 2PM on Easter Sunday. We will have fun and activities for all ages! This is a free event. RSVP Now. A Founder's Club members only guided tour of Rancho Guejito. A guided wine tastng through historic sites on the ranch. Lunch and live entertainment will be provided. You must be an active club member on or before 4/21/19. Contact us for questions about how to join. Already a member? RSVP Now. Our club selections will transport you six times a year to a simpler time when the taste of fine wine was one of the most sought-after satisfaction of the senses. Club members will also receive invitations to exclusive, members-only events on Historic Rancho Guejito. Open every Sunday from 11AM - Dusk. 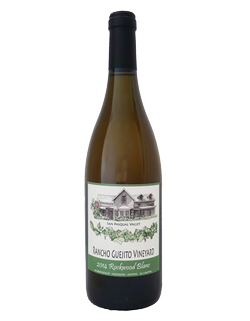 Our tasting room is located in the heart of the San Pasqual Valley wine region at the historic Rockwood Farmhouse (built in 1885), just minutes from the San Diego Safari Park. We offer hayride tours through the vineyards and groves and live music to add to the experience of tasting our wines. Our tasting room is also kid and dog-friendly and offers shade in the gardens and air conditioning inside for hot days. 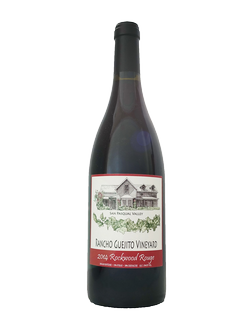 Granted from Mexican Governor Pio Pico in 1845, Rancho Guejito is rich with the history of early California. Jose Maria Orozco, a customs agent, boarded his horse-drawn wagon and headed north from Old Town San Diego to what is now Valley Center to claim a piece of land covering three square leagues, approximately 13,298 acres.